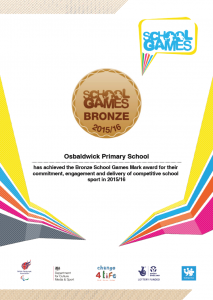 Osbaldwick Primary Academy » Osbaldwick achieve School Games Award! The School Games Mark is a Government led awards scheme launched in 2012 to reward schools for their commitment to the development of competition across their school and community. Schools in England are able to assess themselves across bronze, silver and gold levels. Osbaldwick have achieved the Bronze Mark. All our pupils have two hours of physical education and school sport per week inclusive of extra curricular provision. At least 20 % of our students take part in the extra curricular sports every week. 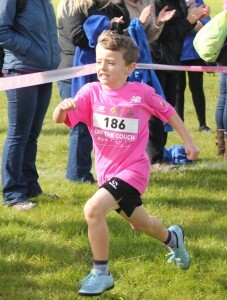 Well done Osbaldwick!